I reported back on November 19th that Simply Audio Books was offering a series of special offers for the Christmas 2009 season. As the 25 Days of Christmas wind down Simply Audio Books is cranking up the deals. 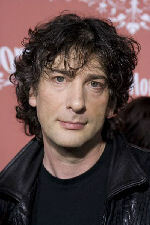 As readers of this blog know Neil Gaiman won the 2009 AudioBook of the Year award at the Audies for the Graveyard Book. Simply AudioBooks is offering a 25% off Special on their Neil Gaiman audio books tomorrow Thursday December 10th. If you read this in time you should be able to take advantage of today’s special of 30% off the Christmas Classic A Christmas Carol which is a bit more popular this year because of the motion picture release of Jim Carey’s Christmas Carol. If you are a heavy commuter or know one Simply AudioBooks rental model is very convenient. It is similar to Netflix in the way that it works. You create a list and based on the membership you choose you get the number of audio books on CD that you have signed up for based on their availability. 25 Days of Christmas, 25 Deals in 25 Days!